Hot Money is about the trillions of dollars of global financial activity that is never recorded in official economic statistics. Corporate money laundering of illegal narcotics profits is the form of “hot money” that gets the most publicity. 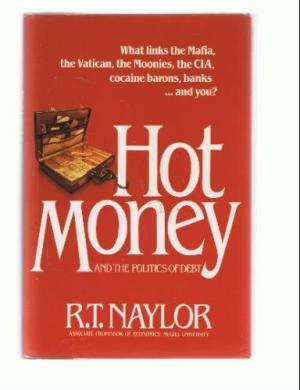 However according to Naylor, it accounts for a relatively small proportion of “hot money” percolating through offshore banks and dummy corporations. Most “hot money” starts out as funds generated via “legitimate” business which rich elites sebd offshore to avoid taxes or in anticipation of economic calamity or regime change. All the world’s most ruthless dictators stashed funds in Swiss banks or similar financial havens prior to being deposed. Next Post Work! Do you like it or hate it?